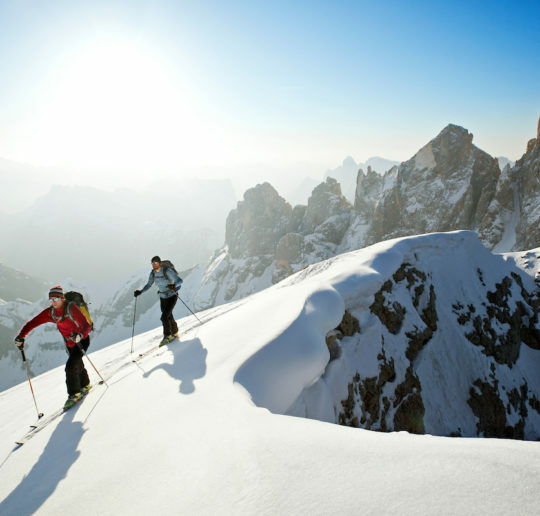 COST (VAT included): € 330 pp per day, plus 10% for each person up to 3 people max. 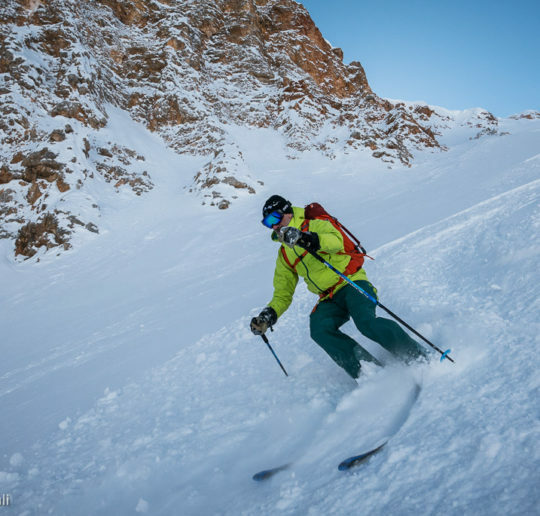 Steep skiing has become very popular in the last years. 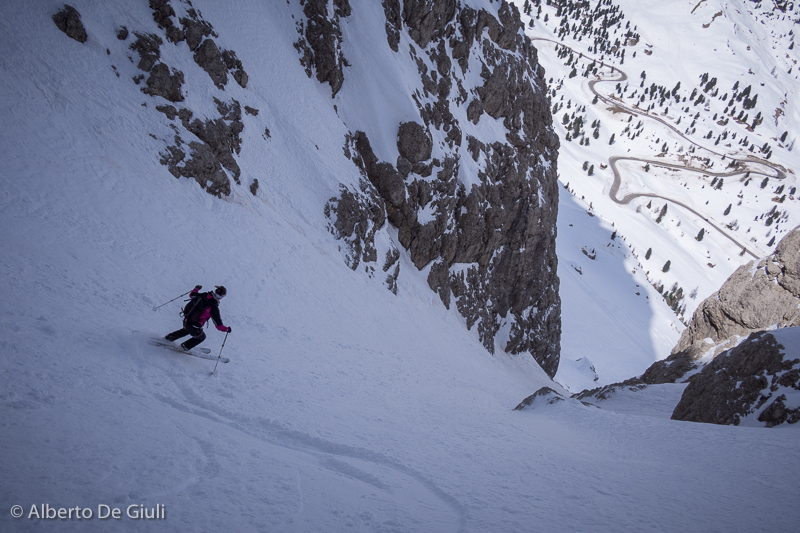 Steep ski lines that used to be mythic and fearful, now they have been skied a lot by many steep skiing lovers, when snow conditions are very good. 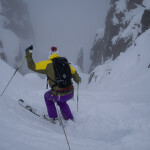 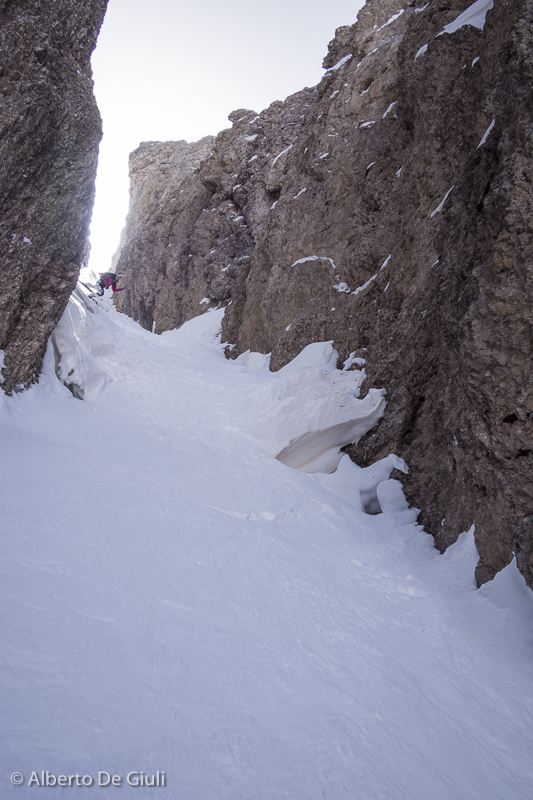 Every winter I’ve guided many skiers down their dream lines, showing them the way and the safest way to ski them. 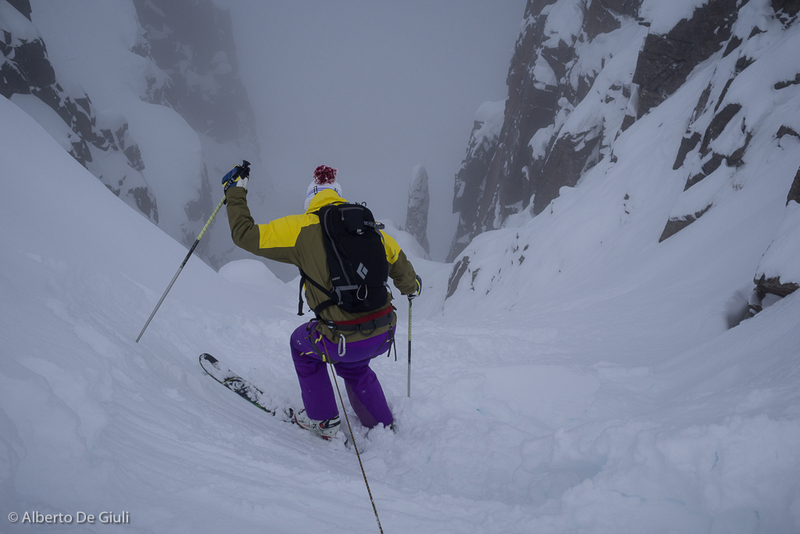 You have to be ready when the good conditions are calling, then just follow the guide’s instructions and make your dreams come true. 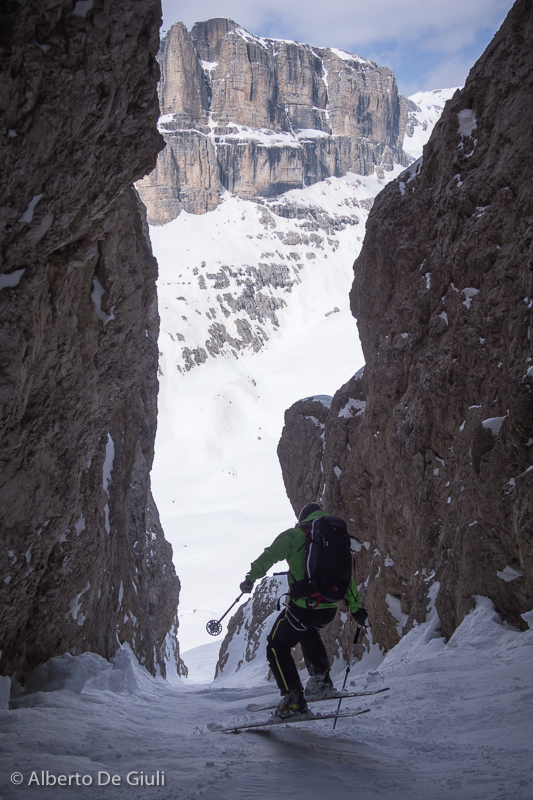 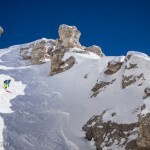 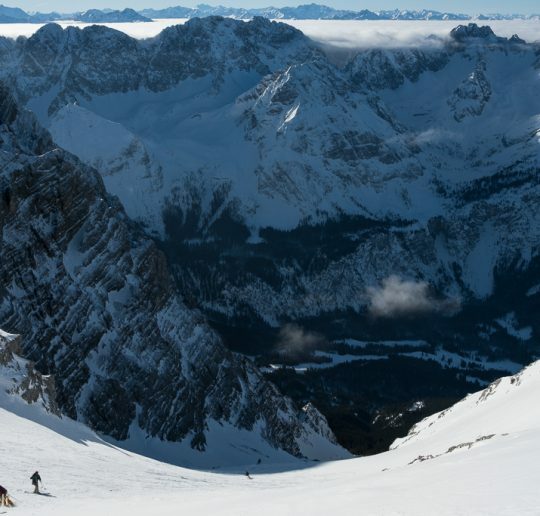 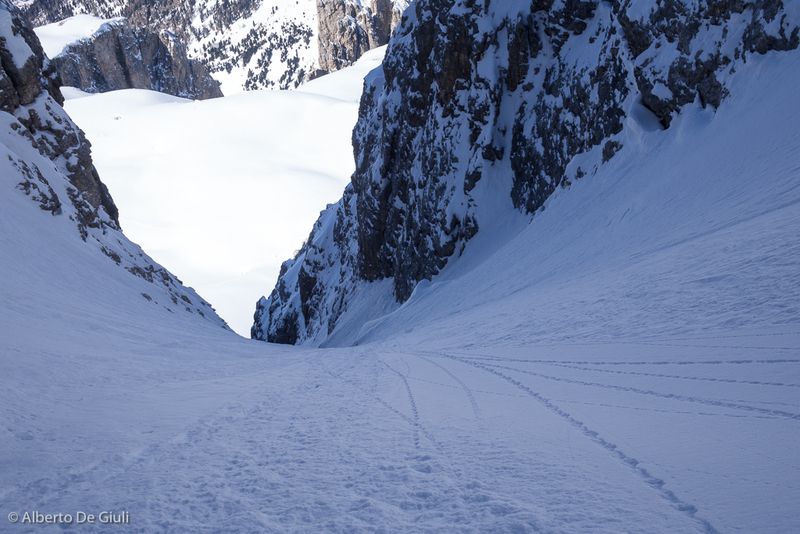 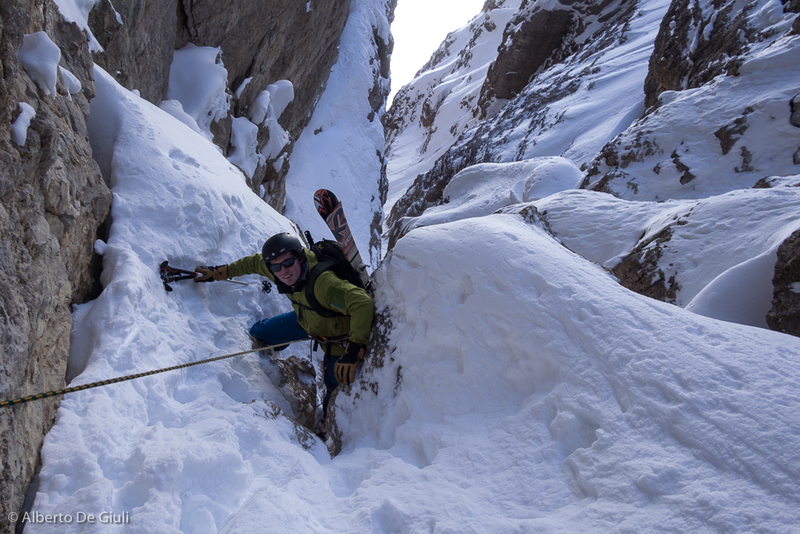 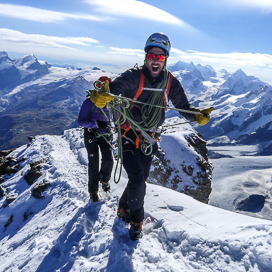 From December to May I arrange private steep skiing guided day trips, down the most famous (and not so famous) steep couloirs in the Dolomites, expecially in the Sella massif, in Cortina d’Ampezzo around the Tofane and Cristallo. 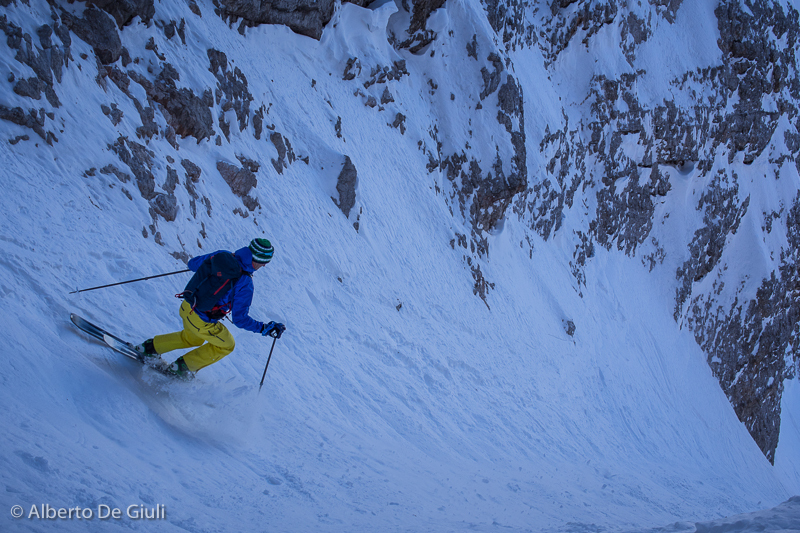 For this kind of terrain I like to take not more than 3 ppl at the time, safety and flexibility are my priorities. 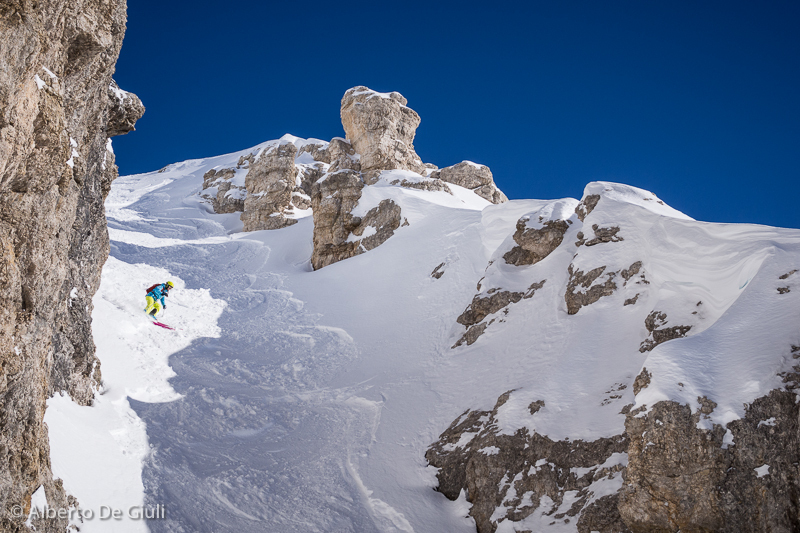 For further information, details and booking please drop me an email. 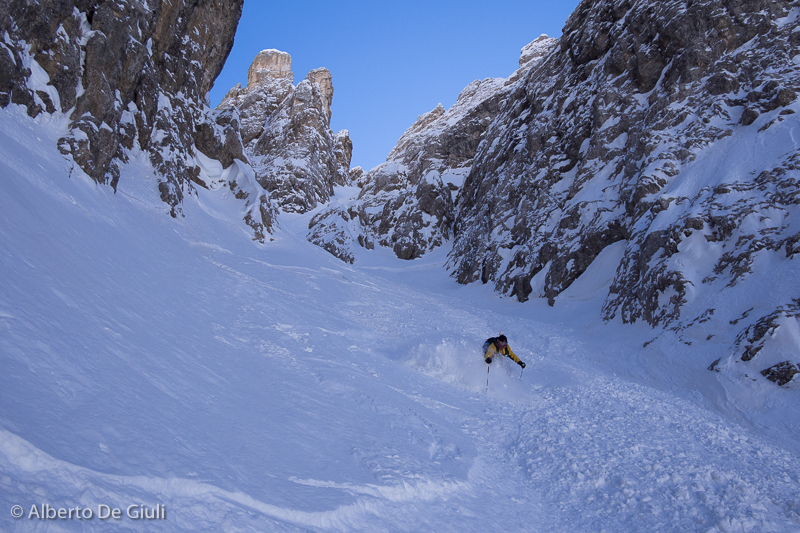 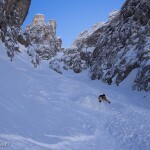 Staunies N Couloir, Cristallo. 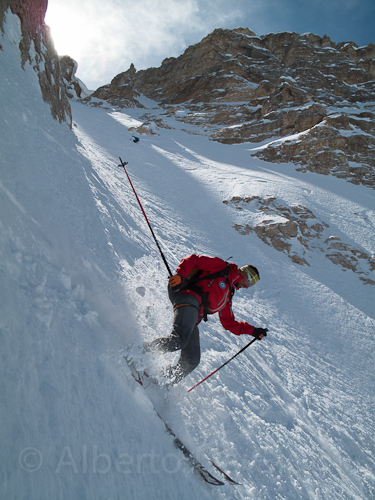 Steep skiing in Cortina d’Ampezzo. 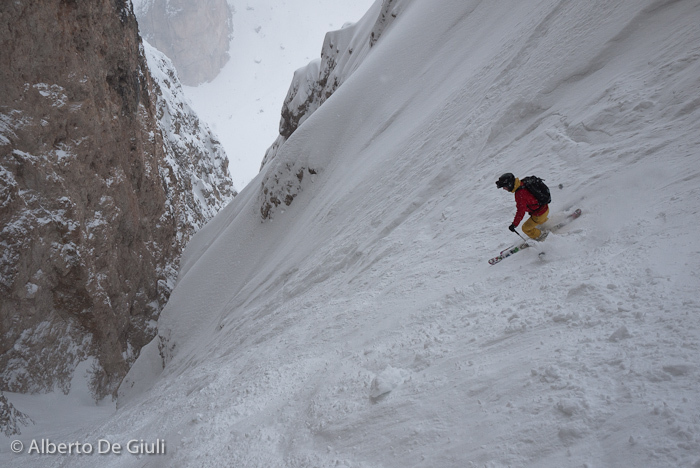 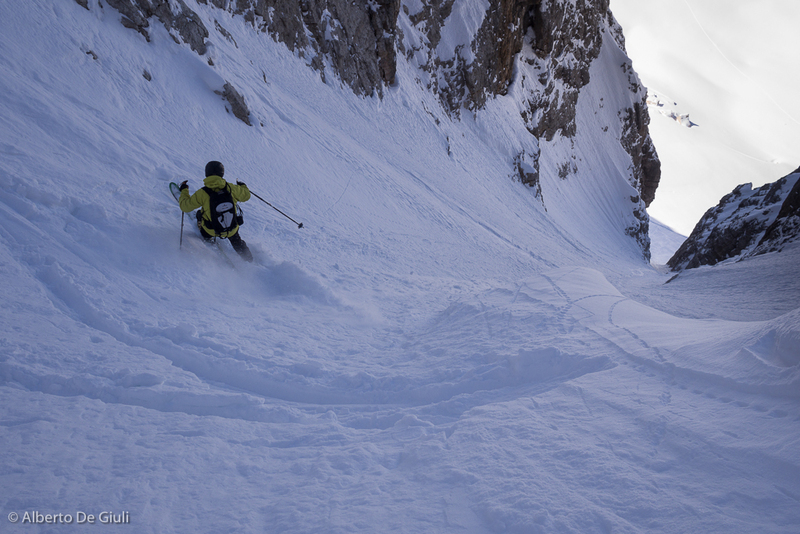 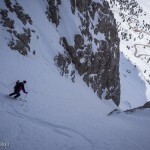 Steep skiing in the Sella Massif. 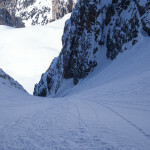 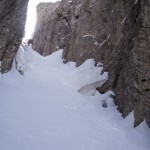 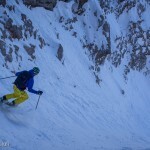 Holzer Couloir. 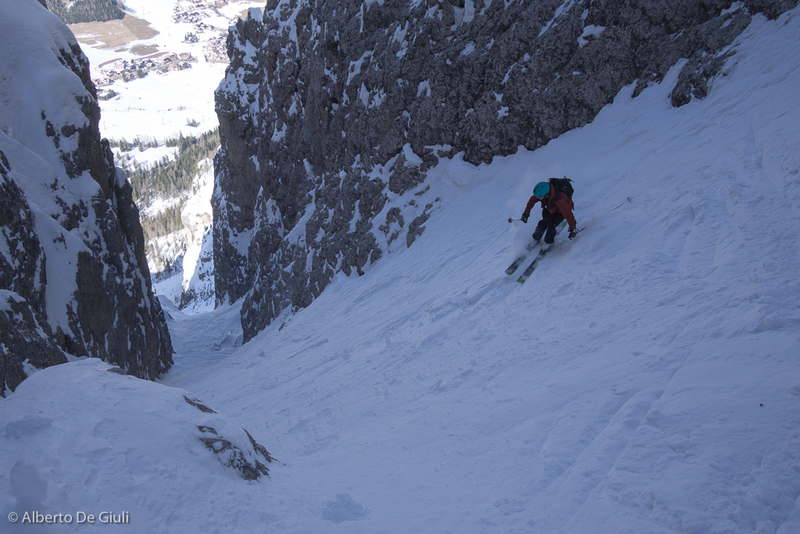 Steep skiing in the Sella Massif.